It is impossible to be careful when all these leaves will be collected and filtered to make pure incense sticks. Every weekend, when Tay Ninh, at Dong Nai, then Cu Chi, Hoc Mon, Le Thien Bao (39 years old) took advantage of the time to go to gardeners to order plants to grow incense, then check Quality of plants and soil quality to ensure that trees are planted and cared for in the most natural and clean way. "Big incense stick with index finger"
"Most of the households I put in planting trees have field fields outside, they just plant more medicinal herbs in the garden for fun so do not fertilize, use any chemicals, I also help worry" - Ms. Bao said while holding hands still scrutinizing the citronella trees, sniffing each wormwood leaf to know how the scent changed when the rainy season arrived. For some trees that need to be grown in large numbers but difficult to grow well with hot climates in the South like rosemary, basil (mint), she goes to Dak Lak to look for organic vegetable growers, not to use Pesticides to order they are attached directly in the vegetable garden. All leaf trees are then collected at the factory to produce finished incense. The process of making a batch of incense here is three times more time than usual, because the leaves must be exposed to the leaves (exposed in the shade, not in the sun) instead of being put into the dryer in a split second. Therefore, everyone has to look after the leaves and incense sticks like a little child, it is a bit hot and rainy in the sky. The incense tree is finished so there is no yellow color like usual, instead it is the brown color of the leaves, the dried flowers. The scent of incense is not strong, but it is very gentle, deeply hidden and the incense after burning is just a pure white. Incense is often made from sawdust, marinated coconut fiber flavored with chemicals. So where does this idea of ​​making natural incense come from? It is easy to say, but the road to making incense sticks also wants to be difficult. 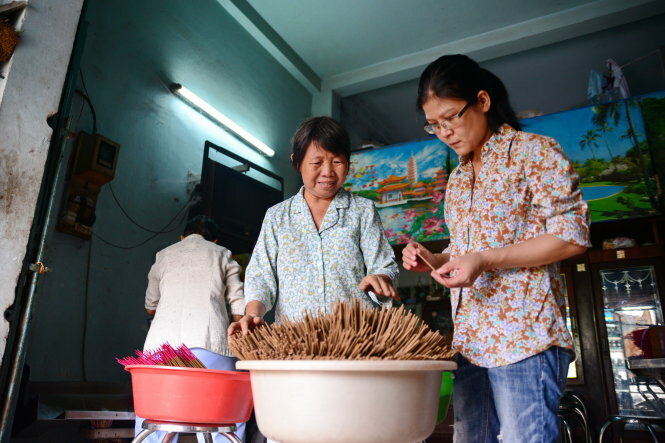 Never made incense, not wanting to follow the way of making incense from sawdust, coconut fiber like everyone else, Ms. Bao started from the plants in her garden. At the end of the week, after finishing work at the company, she ran a motorbike for hundreds of kilometers back to her hometown in Tay Ninh, gathered at the time, two or three hugged aromatic leaves, when dozens of incense trees were carried to the city. After that, she alone blurted out all the flowers, leaves, roots, then cut them, cut them, crushed them into incense and finally kicked the machine into a mini incense stick to give each incense. The hands that were only used to writing and gradually became lumpy, covered the scars across the vertical, the office was only full of papers and books, replaced by dozens of bottles labeled with aroma and formula, but Ms. Bao very excited: "God gives me a nose that is very sensitive to scent, so working with aroma is not too hard, on the contrary, it is very happy!". The first round of incense, "a big incense stick with an index finger, the smell is like burning leaves, not fragrant," she said. But undeterred, this little woman persevered with the incense stick, sticking to the laboratory for six months to get the incense with the best scent first. Sam Cam (Mrs. Bao's colleague) said: “At that time, we had little contact with Ms. Bao because most of my free time was in the room to study how to make incense, which everyone was surprised by. However, at that time she was having a stable job with a high position. But when she joyfully called us to come and smell the first incense smoke she made, I understood that there were questions why there was no need for an answer, all "because of the love that was born" . Making incense from plants, Ms. Bao thought about how to bring the recipe from herbs to incense to make the users feel healthier when using every day. 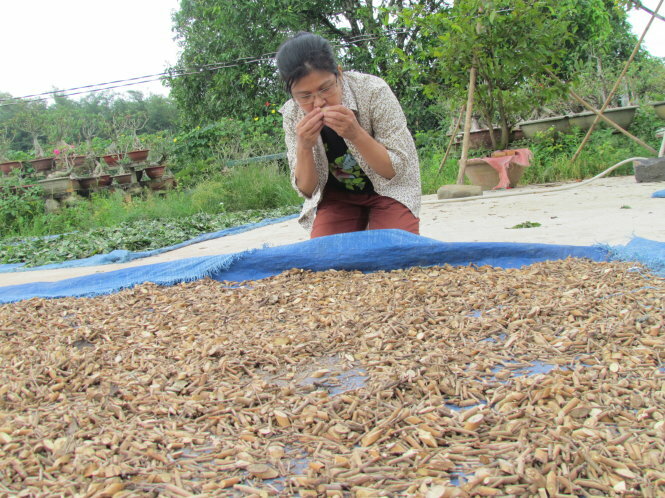 She shared this idea with her physician, Le Trung Kien, in charge of the medicine department of Tue Tinh Duong in Dinh Quan district, Dong Nai province, and quickly got consensus. Mr. Kien said: “When Bao said, I found this idea very good.Before hearing about medicinal plants, people only think about cooking, soaking or steaming, no one thinks about the burning incense tree every day can help the house clean, pleasant and better respiratory . So I also tried to study, starting with the formula for headache treatment, runny nose with licorice, bare skin ... but preparing a few essential oils to help with eye irritation, in addition to some kind of mosquito repellent, insect repellent overlap. 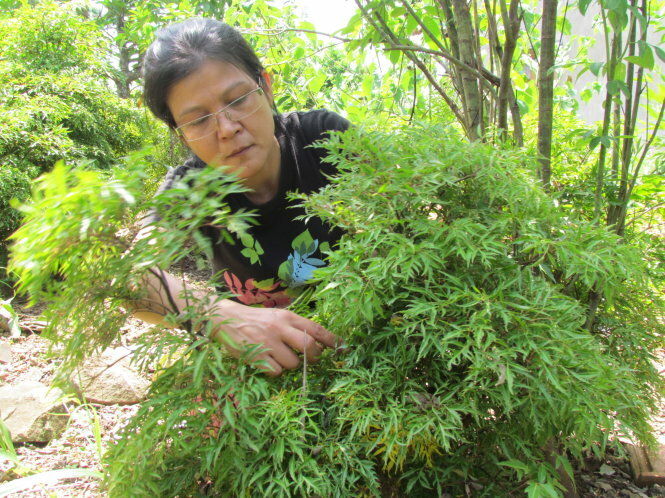 Over the past three years, trying to solve the problem of building a medicinal garden to contact the incense production facilities for this clean incense, so far, Mrs. Nui Ba Den's incense incense has gradually become well known. with prices from 25,000-38,000 VND / bundle of 50 trees. In addition to the need for worship, incense of Mrs. Bao especially sells at the young customer segment, works at the office and regularly practices yoga and meditation. Ms. Le Thi Thanh Nga, an office worker, said: “Yoga needs very pure incense, less smoke smells strong, has good health effects because I use it every day. In the past, I also tried some other types of incense, but one was a strong smell of Chinese medicine, the other was a chemical smell, so this kind of thing was temporarily reassured because it was like the natural incense in the past, I used to smell under the countryside. So far there have been about ten official distribution places of Ms. Bao, mainly in Ho Chi Minh City, and her incense powder has also started to be favored by foreign partners, especially in countries like India, Myanmar, Japan. “If this incense sold a lot, was loved by many people, I would be willing to share the recipe to make many other places work together, because my ultimate goal was to develop Vietnamese herbal areas. . The plants of our country are very wonderful, beautiful from the beautiful scent, how much waste is wasted! ”- she confided.